William Franklin Graham Jr. was born on November 7, 1918 and has died on February 21, 2018. He was an American Evangelist and an ordained Southern Baptist minister. 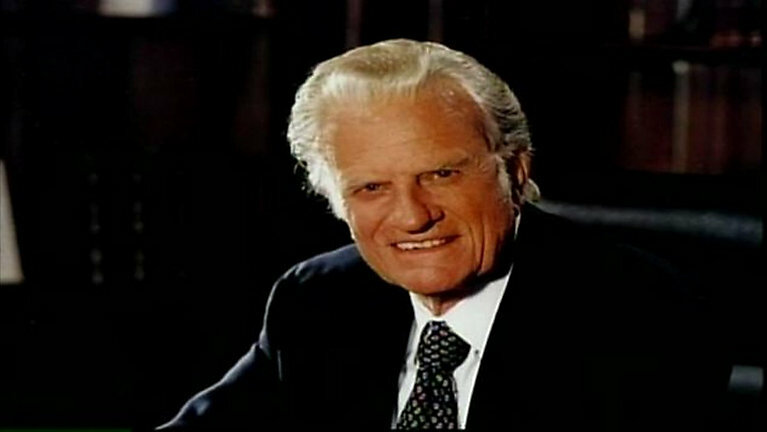 He became famous internationally after his 1949.Annual Billy Graham Crusades, which he began in 1947, until 2005. Graham preached to live audiences of about 215 million people in more than 185 countries. Graham was a spiritual adviser to American presidents and spiritual counsellor for presidents from Harry Truman to Barack Obama. He is the oldest of four children born to Morrow (née Coffey; 1892–1981) and William Franklin Graham Sr. (1888–1962). Graham grew up on a family dairy farm near Charlotte, North Carolina. He was raised in the Associate Reformed Presbyterian Church by his parents and is Scottish-Irish descent. He has a park named after him; Reverend Billy Graham Memorial Park was established on the Hillsborough River. In 1939, Graham was ordained by a group of Southern Baptist clergymen at Peniel Baptist Church in Palatka, Florida. In 1943, Graham graduated from Wheaton College in Wheaton, Illinois with a degree in anthropology. Family On August 13, 1943, Graham married Wheaton classmate Ruth Bell (1920–2007) who died on June 14, 2007, at the age of 87. The Grahams were married for almost 64 years. Graham and his wife had five children together: Virginia Leftwich (Gigi) Graham (born 1945); Anne Graham Lotz (born 1948; runs AnGeL ministries); Ruth Graham (born 1950; founder and president of Ruth Graham & Friends); Franklin Graham (born 1952, who serves as president and CEO of the Billy Graham Evangelistic Association);and Nelson Edman Graham (born 1958; who runs East Gates Ministries International,which distributes Christian literature in China). Graham has 19 grandchildren and many great-grandchildren. Graham has conducted more than 400 crusades in 185 countries and territories on six continents. In 1989 Graham received a star on the Hollywood Walk of Fame. Later life Graham suffered from Parkinson's disease since 1992.Graham died on February 21, 2018 at his home in Montreat, North Carolina, at the age of 99.